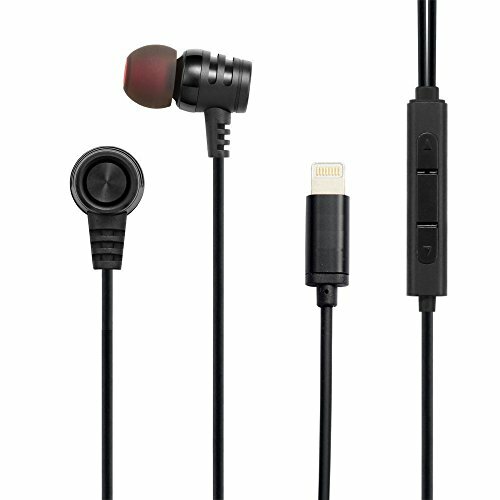 Why is Boba Tech Earphones better than Bluetooth and Traditional 3.5mm Earphones? An advancement in innovation from Apple's EarPods, the Boba Tech Lightning Earphones was specifically designed to provide a superior listening experience by combining cutting edge digital audio technology with style, quality, and comfort. We achieve this by incorporating high-quality materials and extensive product research and testing into the earphone's design. Additionally, we provide one of the best lightning headphone sound-cancellation technologies currently available, with a design that ensures background noise is blocked out so that you can focus on enjoying your music while studying, working out, or commuting. The audio drivers that are installed inside the Boba Tech earphones have been engineered to maximize sound output while minimizing sound loss - resulting in extremely high-quality audio. The Boba Tech digital earphones are vastly superior to Bluetooth and traditional 3.5mm headphones due to the use of Apt-X technology that supports a 96kHz sampling rate. Bluetooth headphones can only support a 48 kHz sample rate, and only a few traditional 3.5mm headphones under $100 include Apt-X technology. Multi-functional buttons: Press █ to Play or Pause | Hold ▲/▼ for Volume Up/Down | Press ▲/▼ to Skip Forward/Backward. If you have any questions about this product by BobaTech, contact us by completing and submitting the form below. If you are looking for a specif part number, please include it with your message.